Written by: Dr. James B. Ewers Jr. The Empire television series featured on Fox television is a show I have only seen sparingly. Maybe the story lines and social drama that come with the television series don’t appeal to me. If you are a fan of the show, then you are with a lot of people, as Empire is one of the top shows on television today. It will be going into its fifth season, so there is something to be said for Lucious, Cookie and the Lyon family. The last series I can remember watching just a bit is Dallas. It came on Friday nights. The prevailing question as the show hit its peak was ‘who shot J.R?’ Now, to this day, that question will still bring on some debate and speculation. As to Empire, there are characters moving in and off the show that make you tune in each week. Honestly, you just don’t know who is going to show up. How about model, Naomi Campbell and Oscar winner, Marisa Tomei making appearances on the show? One of the original stars of the show is Jussie Smollett, who plays Jamal on the show. He is also a singer, which adds to his appeal and marketability. Just recently on January 29th, Smollett’s career took a turn. You can interpret turn for good, bad or twisted. 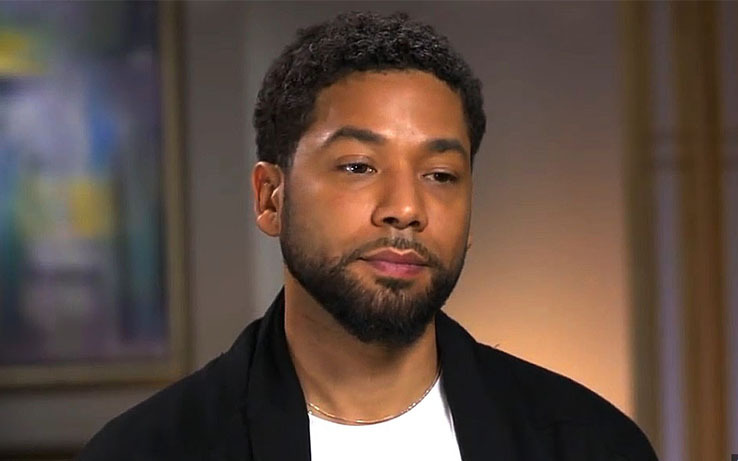 Smollett reported that he was assaulted and insulted with racist and homophobic names. A television appearance he made on Good Morning America only amplified his alleged assault. His cast members and other celebrities came to his defense. Rapper, Cardi B and Democratic candidate for president, Kamala Harris were among those who rallied with him and his plight. Now with new information, their positions have changed. The new information suggests now that Smollett hoodwinked everybody and created this alleged crime for himself with the help of two associates. Abel and Ola Osundairo were supposedly paid $3,500.00 to participate in this cruel hoax, according to Chicago Police reports. Chicago Police Superintendent, Eddie Johnson said, “Smollett orchestrated a phony attack in order to take advantage of the pain and anger of racism.” If in fact he did promote this scheme, we have hit another low in human relationships. Those in the LBGTQ community are disgusted and wondering how could something like this happen? Well, words like selfish and arrogant come to my mind. If these allegations and assertions turn out to be true, then cries for help won’t elicit the same response next time. And in my opinion, there will be a next time. Real pain and real suffering will happen, and the response might be muted. I don’t think we will see Jussie Smollett on the Empire series next year. We’ll just have to wait and see. The immaturity Smollett displayed in creating this scene is disturbing, if true. The evidence is stacking up against him, minute by minute. What was his mindset in this plot? What was he hoping to accomplish? Yet, Smollett and his lawyer say he is being victimized and that he has impeccable character. Stay tuned. This isn’t over.